What are they smoking in Redmond? I scanned the Microsoft ad below from a recent QBS catalogue. I am still struggling to understand the underlying message. 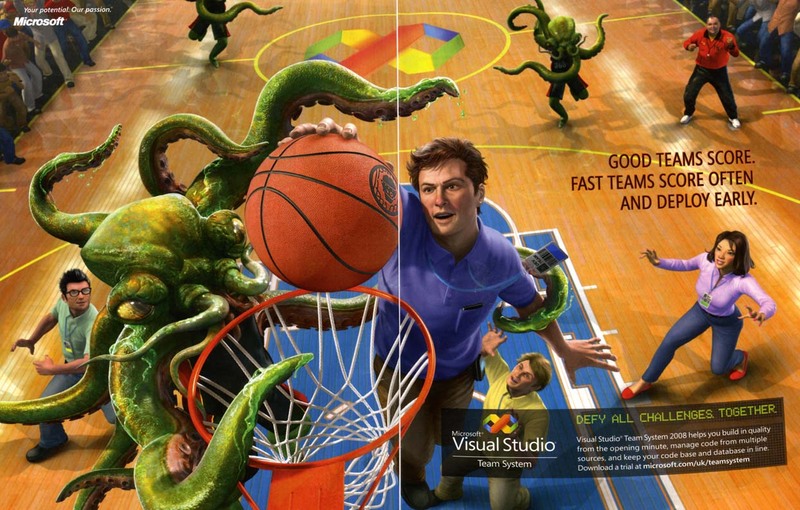 Use Team System and Microsoft will get its tentacles around you? I don’t know which is more unlikely, the basketball playing Cthonians or the athletic and good looking development team. This entry was posted in marketing, Microsoft, software and tagged ad, marketing, Microsoft, team system on 14 June 2009 by Andy Brice.